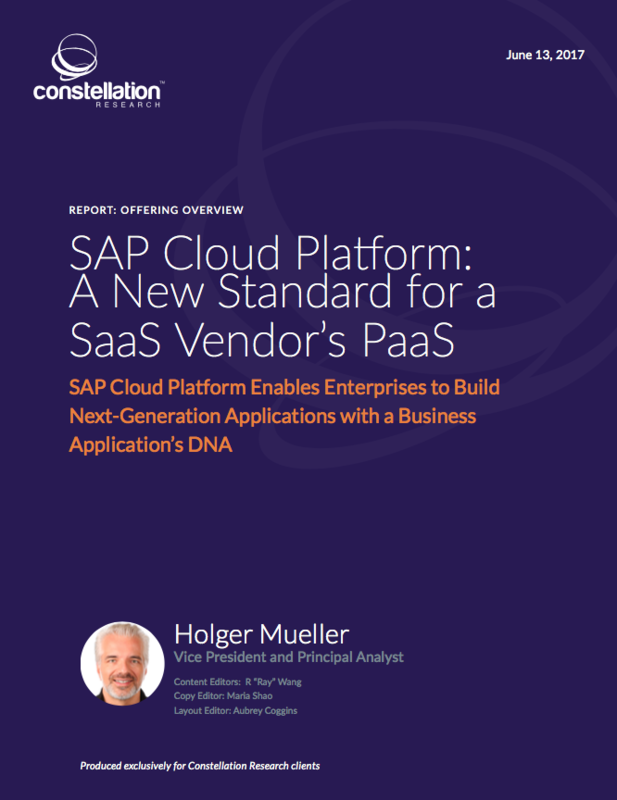 SAP Cloud Platform: A New Standard for a SaaS Vendor’s PaaS | Constellation Research Inc.
SAP remains the leader in business applications, with a wide product portfolio that goes beyond the traditional Enterprise Resources Planning (ERP) space. In recent years SAP expanded beyond the application space to offer products in the platform market with the SAP HANA database and the Platform-as-a-Service (PaaS) product, SAP Cloud Platform (CP). SAP Cloud Platform has over 7,000 customers and more than 600 partners using the product. This report focuses on SAP Cloud Platform, providing a detailed look at its differentiating traits.